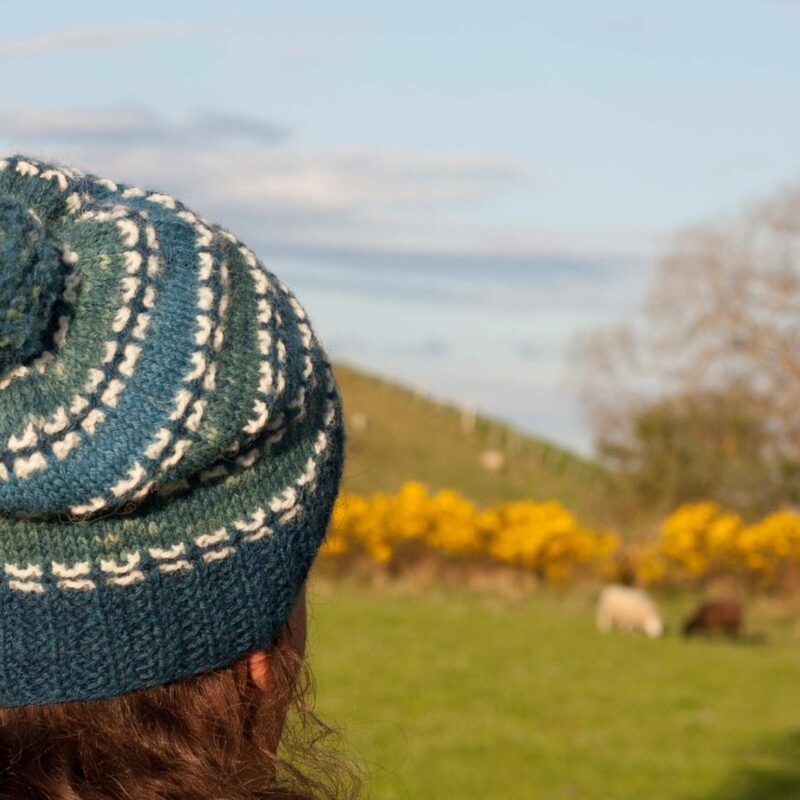 The Rhidorroch Hat is a beautiful new pattern designed in my Coulmore yarn (Organic First Clip Cheviot) by Emily K Williams. 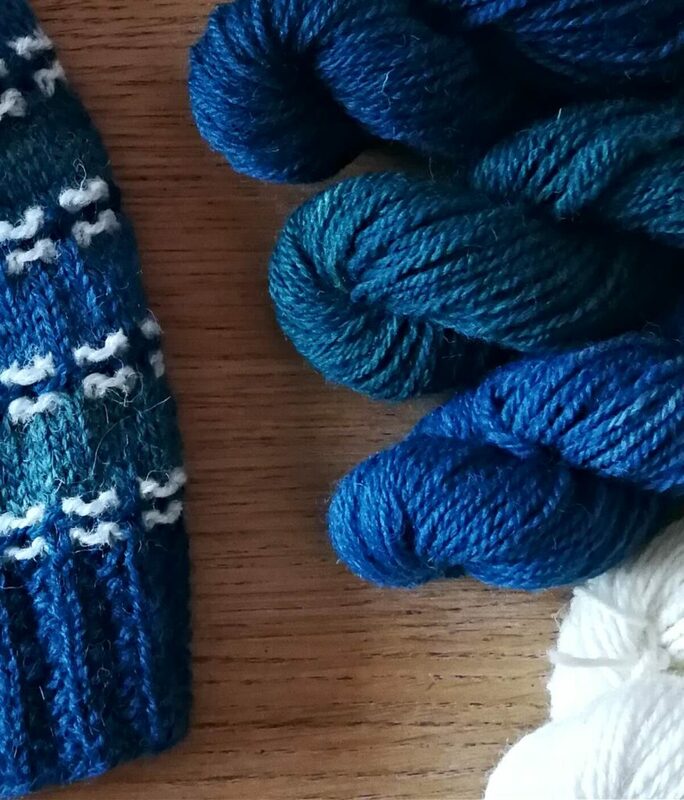 The hat is named after Rhidorroch which is the west coast farm that partners Coulmore, here on the Black Isle. Rhidorroch is where their flock of North Country Cheviots spend the summer before coming over to the more gentle east coast for the winter. 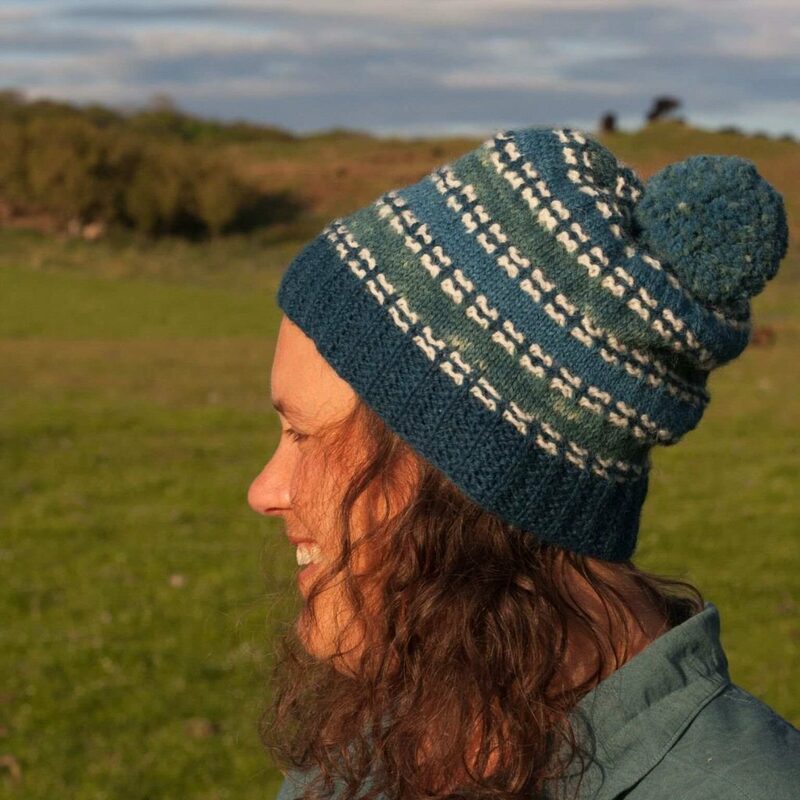 The hat is gently slouchy, with a generous pom pom on top, and uses slipped stitches to add definition and texture to the stripes.